The city without motorcycles: Yangon is the largest and the most exciting city of Myanmar with unique architecture of colonial British. It is also known as "London in Southeast Asia" with lines of cars in tandem. In this city, it is impossible to find a motorbike. 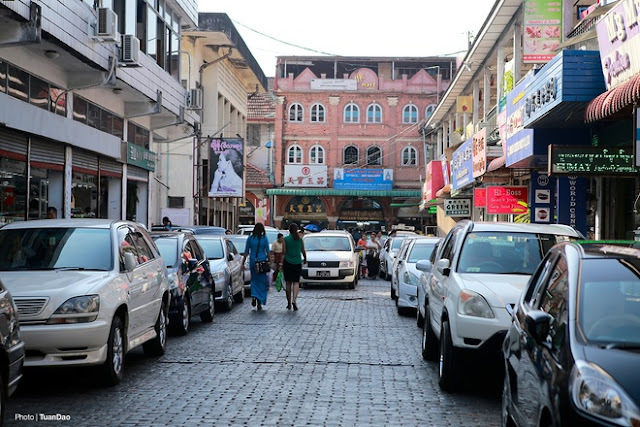 Cars are often parked right on the road, so traffic jam often occurs in the region. Men also wear dress: A tradition of Myanmar people is that everyone from the old to children, from women to men wear longyi dress. This is a type of dress or simply a piece of cloth wrapped around the body, but between men and women, there is difference in the way of wearing. 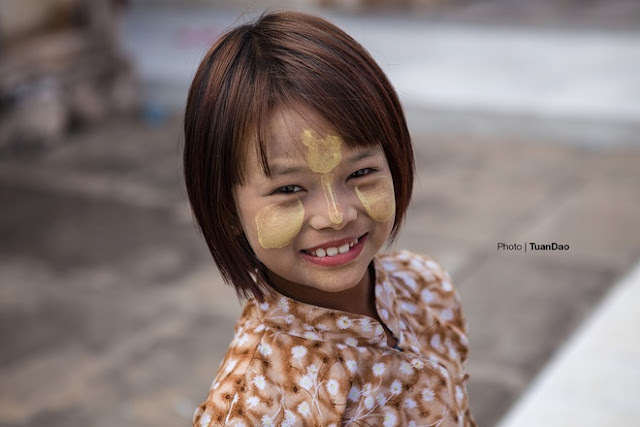 Everyone apply sunscreen: Myanmar women do not often makeup; they only use sunscreen powder of thanaka. The powder is made from the trunk of thanakha which is as large as the arm, cut into pieces of 10 cm. Then, the locals grind the thanaka trunk on a rock and then use the powder to apply on their face. For Myanmar women, this is the most effective powder to protect from sunlight, makeup and care the skin all day and night. This is not only the sunscreen for women, but also for men and children when going out to work. 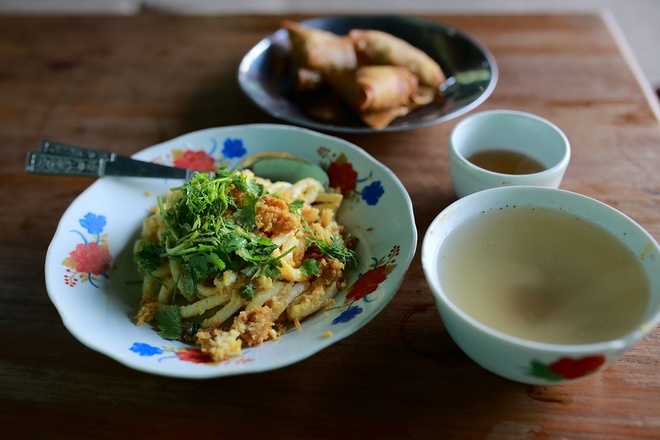 Meat is a luxury thing: For those who love to eat meat, experiencing in Myanmar is not easy. Here the majority of people are followers of Buddhism, Muslim and Hindu. Therefore, people do not eat beef and pork. So, it is difficult to find eateries with meat. Most people eat noodles, rice with eggs and grains. Except big cities, in tourist spots, you should visit restaurants for foreigners to enjoy dishes processed from meat. 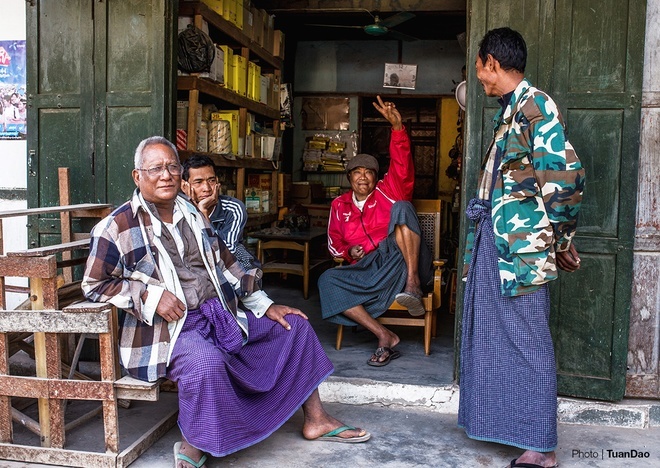 Changing money is a problem: Myanmar uses Kyat. Many tourists bring dollars or euro to exchange at the airport or bank. But there's a note for you, bring new money without folds or stains, because you'll get your money back. 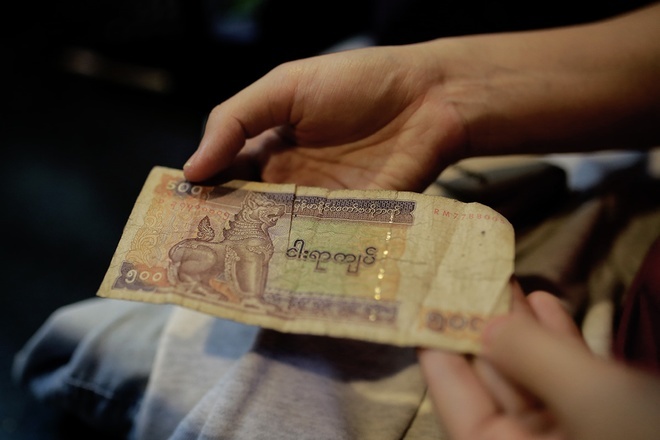 However, the Kyat of Myanmar is almost old and crinkled, but still acceptable in spending.